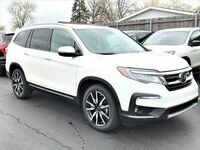 Families looking for a stylish vehicle that offers plenty of space and an affordable drive are encouraged to check out the impressive new 2019 Honda Pilot, which is now available here at Continental Honda near Chicago, IL. 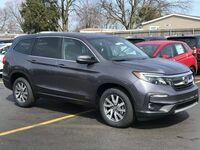 The versatile and practical 2019 Honda Pilot runs on a 3.5-liter V6 engine that is capable of producing up to 280 horsepower and 262 lb-ft of torque. 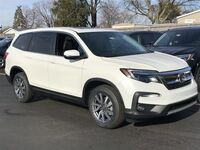 Adding to its appeal, the efficient engine is able to achieve an estimated 20 mpg in the city and 27 mpg on the highway for a combined rating of 23 mpg*. 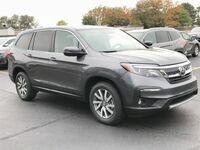 Inside, the 2019 Honda Pilot offers seating for up to eight passengers to sit comfortably in its three rows of seating. 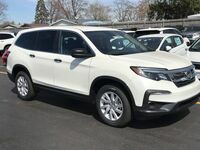 Behind the third-row seat, the Pilot also offers up to 16.5 cubic feet of cargo space. However, should you need more room for cargo, folding down the second and third row further expands its available storage area. 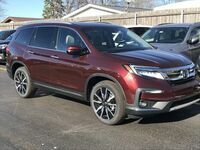 2019 brings with it a wide variety of must-have tech features. 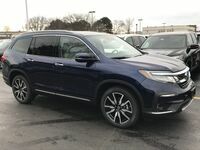 Some of its highlight features include a 4G LTE Wi-Fi system, Honda-exclusive CabinTalk™ system, CabinControl™ App, a wireless phone charger, advanced navigation system, HondaLink, Apple CarPlay/Android Auto integration and more. 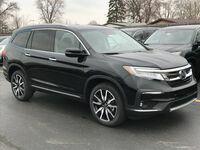 If you’re interested in learning more about the 2019 Honda Pilot, or getting behind the wheel today, simply give us a call or contact us online here at Continental Honda by filling out the form on this page. We look forward to hearing from you!